The transformation that artificial intelligence has brought into the business world by modernizing legacy systems, bringing aptitude, transparency and efficiency in their internal and external services has been outstanding. 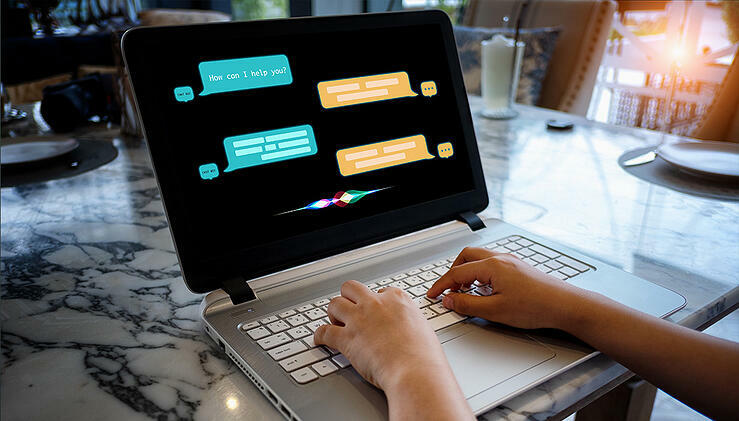 With the continuous rise in on-demand services, users are interacting with chatbots for their immediate needs and executives can no longer ignore the necessity of chatbots for their businesses success. 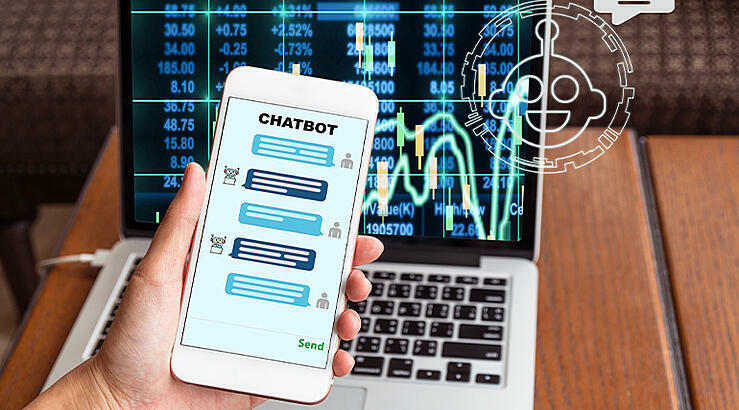 If your business has a field service application, chatbots are thoroughly effective in easily retrieving information and submitting reports. Generally, field staff workers come in large numbers, and in the same token, employee turnover tends to be utterly high in this domain compared to other departments. There can be a learning curve with mobile apps and functionalities; this is where chatbots shine bright. In today’s age of technology, smart phone users are accustomed to using messaging services, be it IM services like WhatsApp, SMS, Facebook Messenger, etc. With no need for training, field staff can open a chatbot and start asking questions and receive answers, on-demand. The only downside to chatbots for field staff is that internet connectivity is a must. If you field service workers are in areas with poor internet connection, the chatbot is not of much help. In these cases, mobile apps would be the best solution. Mobile applications are amazing for offline functionalities and give users the ability to download the most recent information into the local memory. In the era of AI powered chatbots, your basic mobile apps have been transformed into intelligent mobile apps. These mobile apps serve as facilitators for technologies like IoT, smart devices, AR, etc. to transact communication among devices and users. Apple’s recent launch “Homekit”, is one of these applications, allowing users to communicate their wireless devices with all home appliances. Intelligent mobile applications study the user’s behavior and extract user intelligence information, including behavior analytics. With the adoption of AI these mobile apps are delivering future-ready business solutions by enabling businesses to serve users much quicker; while guaranteeing personalized user experiences. Nothing is more frustrating than searching a website for answers that you can’t find. Chatbots give employees a resource to ask simple questions, such as “How much PTO do I have?” without to email or call the HR staff. But that’s not all it can do. The chatbot can redirect employee to the suitable webpage to find the information they are looking for. Chatbots for HR are also there to guide employees through small technical issues and questions that they may have, including pulling analytics for board meetings. This allots the HR staff with more time to handle bigger issues on their priority list and provides a great employee experience. Generating leads is a primary goal for marketing teams and their push is centered around it. Lead generations assist in creating better experiences for visitors and prospects. 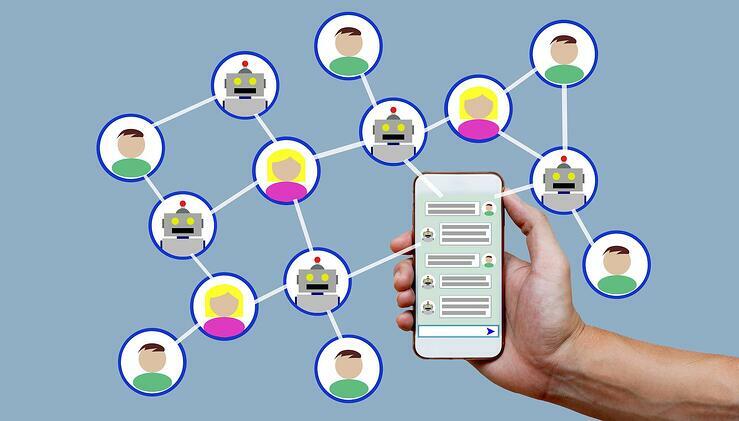 When chatbots are integrated with machine learning and AI solution predictive analytics, they can study the visitor interactions, map their journey, create behavior analytics and conclude with visitor profiles based on the calculated probability that the visitor transforms into a lead. This makes is easy for marketing and sales teams to located qualified leads and help preserve existing customers by producing a tailored response. Interacts with user and gathers data by avoiding the need for lead generation forms. Offering content/landing pages based on the customer behavior data. Get fast, easy access to documents or information without having to search for it in an expansive library. A significant downside to many large businesses is their customer service telephone line. Waiting 20 minutes for someone in customer support to answer the phone has potential to turn many customers away. A chatbot can go through FAQs with customers from start to finish and try to solve their problems as quick as possible. With 24/7 service, chatbots can answer customer questions at any time of the day or night. 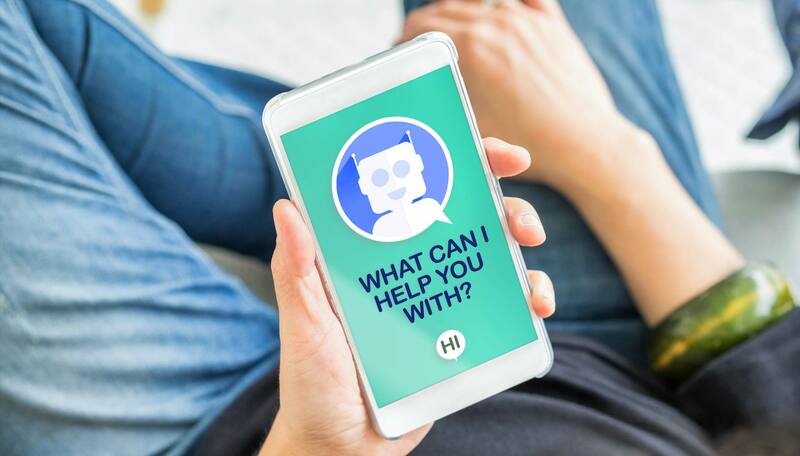 Powered by AI, chatbots can mirror human behaviors, leaving customers feeling like they are consistently getting one-on-one interactions to ease their concerns. Chatbots take a significantly shorter amount of time to create than multi-platform applications. With big names in the IT industry with varieties of chatbot templates readily available (Facebook, Microsoft, etc.) a chatbot can be built quick within the works of Facebook Messenger. Take PayPal for example, PayPal uses a chatbot through Facebook Messenger to help users keep track of their recipes. Chatbots are made to be built to your needs, and the specifications you have can range from the most basic, to very complex. Nevertheless, a clean chatbot can be affordably set up in a timely manner. Is your company using chatbots? If not, now is the time! Click here to talk to our chatbot implantation experts for help!